After visiting every tomb, pagoda and the Hue Imperial citadel, tourists surely want to go to a place where they can both shopping, eating and relaxing. 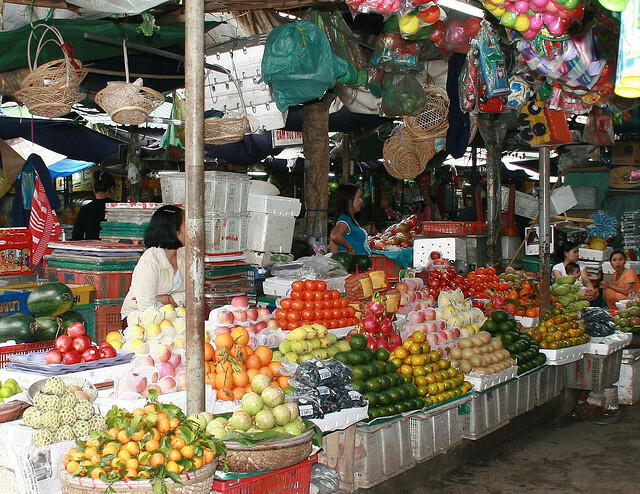 One of the site that you should really pay a visit is Dong Ba market, the largest market in Hue. Around 100 kilometers north of Truong Tien Bridge, Dong Ba Market is situated near the eastern corner of the Citadel, in the north bank of the romantic Perfume River, near the place where the Dong Ba Canal merges with the Perfume River. That would be very convenient if you choose to visit this market after walking around the Imperial citadel. What consists in the attraction towards this market is the preservation of ancient distinctiveness. Tourists can see all the typical features of a traditional Vietnamese market, for example, the sampan landing, the bus station and the bazaars. Dong Ba market is considered as a paradise for snapshots of daily activities as well as for shopping with everything from souvenir items to bronze goods, Hue sesame sweetmeat, conical poem hats, just to name a few. Should you find interest in Vietnamese food or culture, you’d better come to explore this place. The market supplies a lot during daytime, for example clam rice, beef noodles, shrimp cakes, pancakes, bean puddings, sour shrimps, lean meat which are Hue’s popular daily dishes. If you visit on the occasion of Lunar New Year, you can taste traditional ‘five-color’ cakes, which are small & square cakes made of bean and rice powder. The name ‘five-color’ derives from the cakes’ 5 colors of wrapping papers. Today, people visit Dong Ba Market not only because they can buy myriad goods and local specialties, but because in their hearts it is a symbol of Hue’s culture. 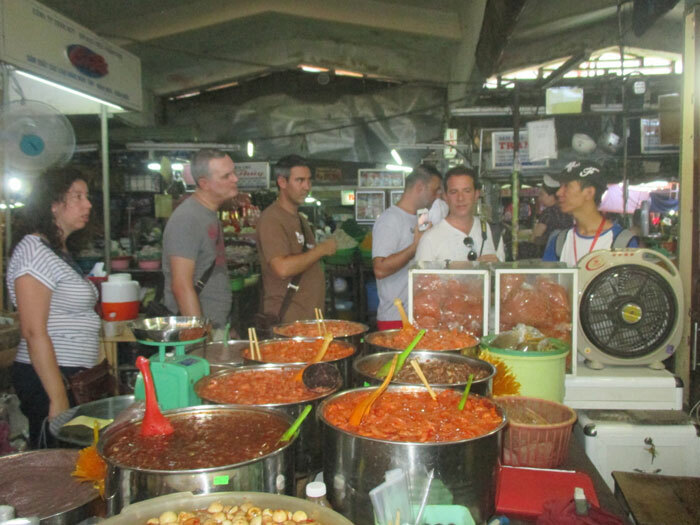 Although nowadays, a series of new markets has been grown, both tourists and local residents always choose Dong Ba market to satisfy their demands.